For a more detailed and intimate biography by Valerie Jerome, click here. Harry Winston Jerome was born on September 30, 1940 in Prince Albert, Sask., and moved with his family to British Columbia and the Vancouver area in 1951. He was a talented athlete who excelled in a variety of sports, including baseball and football. But exceptional speed was his trademark and special gift, propelling him not only to success on the gridiron and baseball diamond, but also to the pinnacle of international athletics competition as one of the top sprinters of the day and one of the best to ever represent Canada. 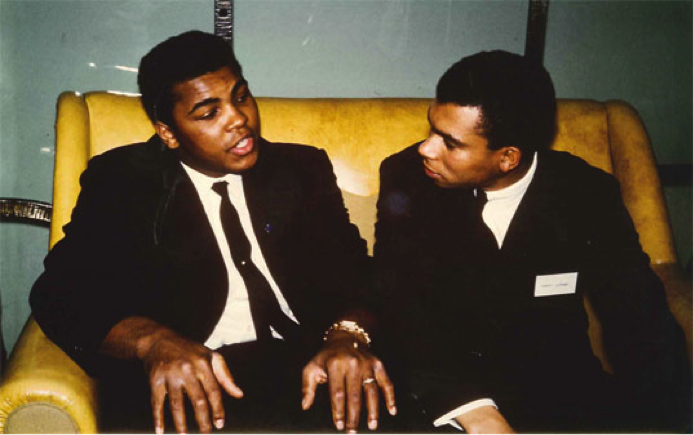 His accomplishments came despite his enduring considerable racism as a youngster and as a competitor — testament to his courage and will to succeed despite barriers placed in his path. At age 18 the North Vancouver sprinter broke the 31-year-old Canadian record for the 220-yard sprint – held by 1928 double Olympic gold medallist Percy Williams. A year later he emerged as an international sensation by equaling the world record for 100 metres by clocking 10.0 seconds at the Canadian Olympic Trials in Saskatoon. That effort marked the young Canadian as one of the sprinters to watch at the upcoming 1960 Summer Olympic Games in Rome. But what should have been a promising Olympic debut for Jerome became instead the first of many difficult trials that served as a test of the athlete’s personal motto: Never Give Up. Jerome pulled a muscle in the 100-metre semi-finals in Rome and was out of the competition. Two years later, at the 1962 British Empire and Commonwealth Games in Perth, Australia, world record holder Jerome pulled up lame and finished last in the 100-yard final. The media lambasted him as “a quitter” even as tests confirmed he had suffered severely torn left thigh muscles that would keep him out of competition for all of 1963, with a possible prognosis of never again being able to compete. He returned, however, in 1964 and was finally able to reap the benefit of his work, tenacity and considerable talent. At the Summer Olympics in Tokyo Jerome earned a bronze medal in the 100-metre final, rightfully earning his spot on the Olympic podium and a respected place among the ranks of the world’s fastest men. Two days later he finished fourth in the 200 metres, confirming his place among the great sprinters of his day while finally earning some grudging respect from Canadian media that seemed to relish in judging him harshly. 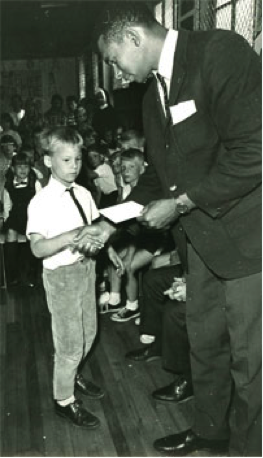 Two years later Jerome won the 100 yards final at the 1966 British Commonwealth Games in Jamaica, his first gold medal at a major international Games. That year he also set a world record of 9.1 seconds over 100 yards. In 1967 he also took gold at the Pan-American Games. In 1968 he represented Canada at his third Olympic Games – an extraordinary feat in itself given that longevity in the sport was not what doctors were predicting when he suffered his first major injury back in 1960. He finished seventh in the Olympic final at Mexico City, confirming that despite the array of physical troubles and negative press that had plagued him over the years, he never gave up. 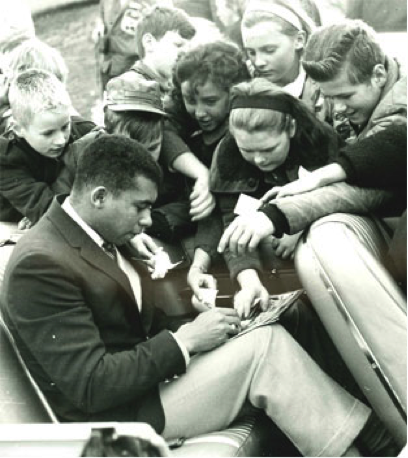 Harry Jerome retired from international competition at the end of the 1968 season, ending a career that included stints as the world’s fastest man in tying the 100 yards world record of 9.3 seconds in 1960. Two years later he lowered it to 9.2 in a memorable day at Vancouver’s Empire Stadium. In 1966 he improved again upon that mark by running 9.1. During his career he also held the world indoor mark for 60 yards and ran the anchor leg for his University of Oregon relay team that set a world mark in the 4×110-yard relay. He remained a mentor and inspiration for Canadians, working in the Federal Ministry of Sport and, later, developing the B.C. Premier’s Sport Awards Program to encourage young people to become active and strive for their own athletic dreams. He received the Order of Canada in 1971 and was named British Columbia’s Athlete of the Century. 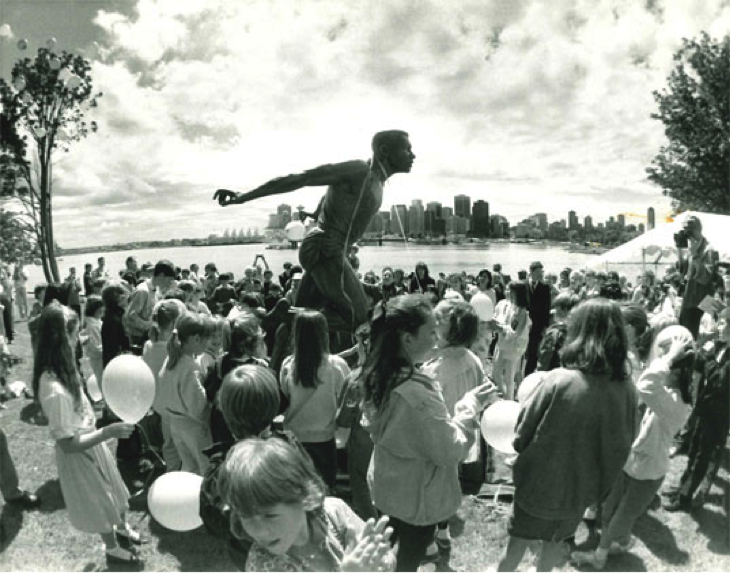 Harry Jerome died suddenly from a brain aneurysm on December 7, 1982, at age 42. 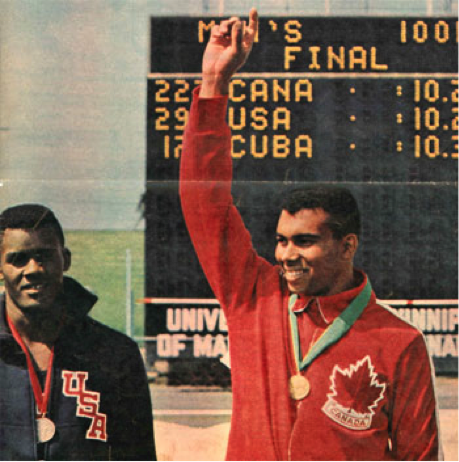 The Harry Jerome International Track Classic is held annually in honour of Harry Jerome, whose talent and tenacity on and off the track inspired a generation of Canadians to “never give up” in their own endeavours. His legacy of athletic excellence and commitment to youth and sport remain pillars of motivation and inspiration today.